If I would have to pick the 2 most powerful anti-aging ingredients in skin care, it would certainly be: Retinol and Vitamin C! Retinol because it speeds up the skin cell-turnover (an ability we lose as we get older, so we need something to keep it going- basically we need to get rid of the top layers of our skin that makes us look old and dull). And Vitamin C to achieve an even skin tone, and get rid of brown spots that make us also look old. 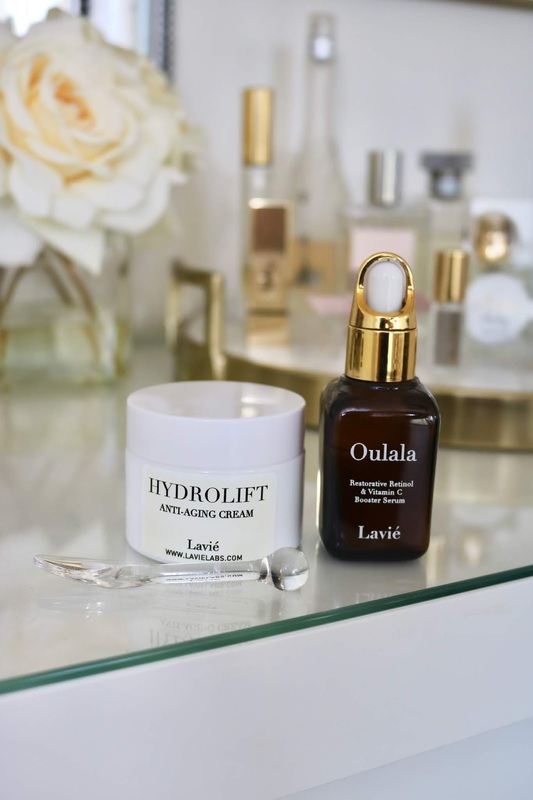 I love seeing that Lavié concentrates exactly on these key ingredients, but also on Apple Stem Cell technology because stem cells are capable of self-renewal and has the ability to regenerate new skin cells. 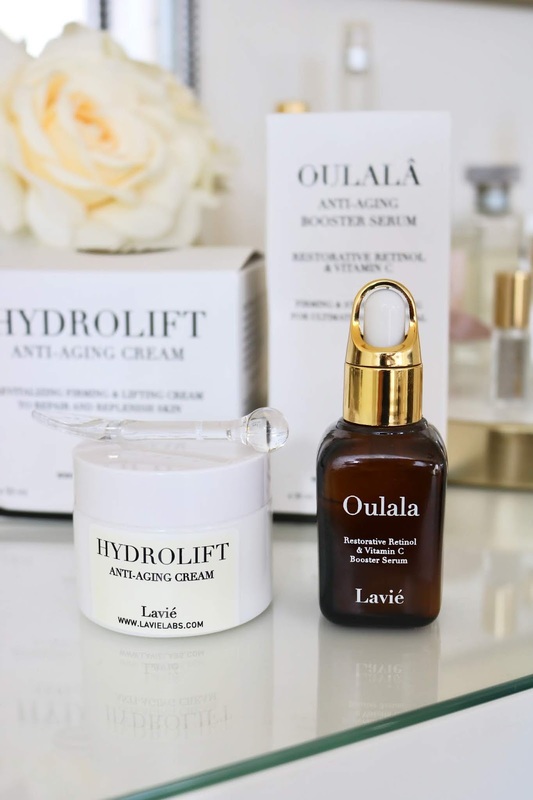 Just 2 products: the Oulala Booster Serum and the Hydrolift Age Defying Cream will make sure that your anti-aging skin care routine contains everything you need! 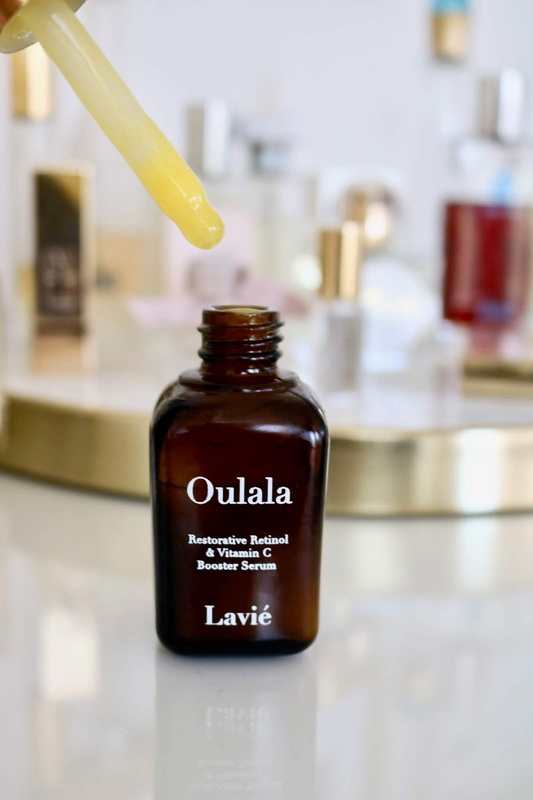 The Oulala Booster Serum (currently on Sale for $59) is a bright yellow lotion that combines ultra-stabilized vitamin C & E complexes, Retinol & essential fatty acids that are delivered directly to problematic areas to fight signs of aging. 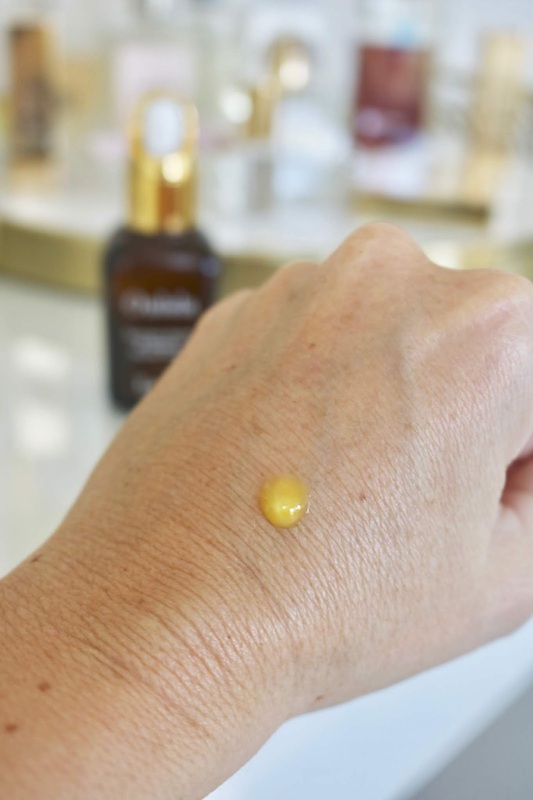 It also contains an advanced blend of cell-communicating Retinol (an antioxidant derived from Vitamin A) that helps reverse premature signs of aging, with its incredible power to erase sunspots and hyperpigmentation and promote new cell generation. And ooh la la! The Oulala Boster Serum smells gorgeous: like fresh cut lemons! Water; Tocopheryl Acetate; Alcohol; Glycerin; Squalane; Sodium Acrylate/Sodium Acryloyldimethyl Taurate Copolymer & Isohexadecane & Polysorbate 80; Galactoarabinan; Water & Phospholipids & Tocopheryl Acetate & Retinyl Palmitate & Ascorbyl Palmitate; Phenoxyethanol & Ethylhexylglycerin; Retinyl Palmitate; Lecithin; Carnosine; Tocopherol; Silybum Marianum/Silybum Marianum Fruit Extract; Glycerin; Alcohol; Aqua; Hippophae Rhamnoides Oil; Triethanolamine; Sodium Benzoate; Carbomer; BHT; Citrus Aurantium Dulcis Peel Oil Expressed; Cymbopogon Citratus Leaf Oil; Citrus Paradisi Seed Oil; Aniba Rosaeodora Wood Oil; Mentha Piperita Oil; Chamomilla Recutita Oil. 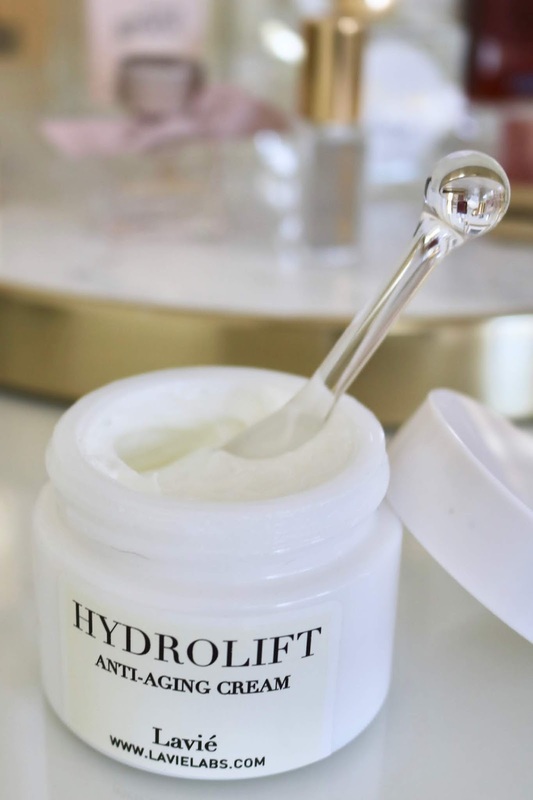 The Hydrolift Age Defying Cream (currently on Sale for $59) is a rich velvety moisturizing cream that includes a combination of 3 different Hyaluronic Acid molecules and 17 active ingredients, including apple stem cells extracts, vitamin liposomes, and natural compounds like lactic acid. 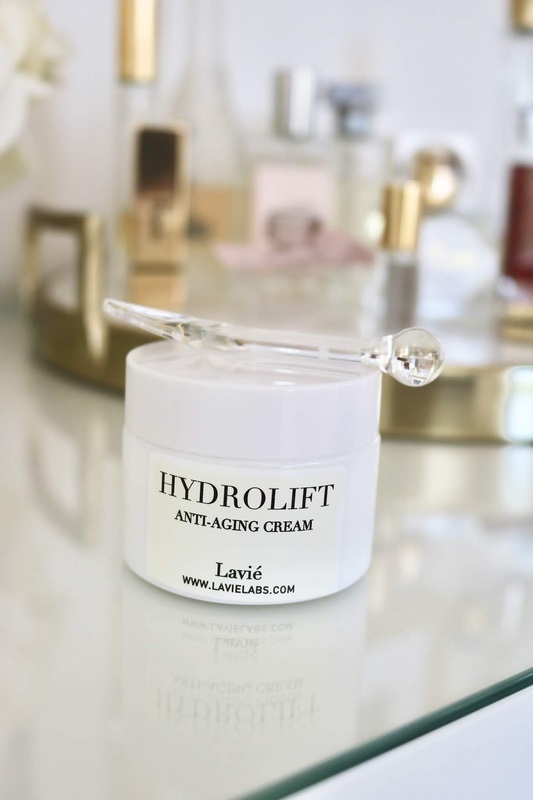 The Hydrolift Age Defying Cream is definitely deeply moisturizing and even the driest skin will see fast improvement. Expect instant gratification as dry spots and blotches will be getting immediate, visible relief. The skin feels super soft and smooth but without looking shiny! This cream is easy to use under your foundation and creates a wonderful hydrated base to work with - no additional primer needed! The cream smells also super clean and very fresh and is such a pleasure to use! Luxurious is a word that I like to use in this context! 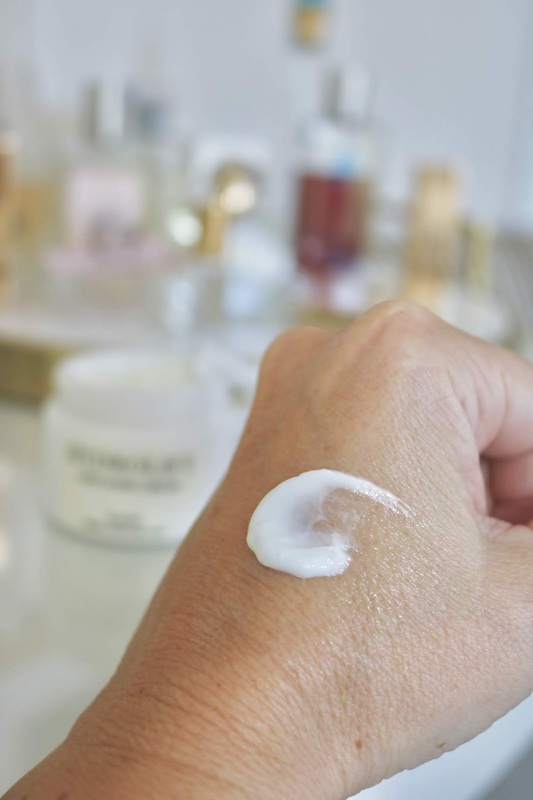 Yes, luxurious and velvety are words that describe this cream just wonderful! Go ahead and check out Laviè Labs website for more info! And here is your chance to win this amazing anti-aging skin care routine for yourself! This is a $118 value! Open to U.S. residents only. Good luck! By entering in this contest giveaway, entrant acknowledges that entrant’s email address might be shared with at least one third party. Disclaimer: Thank you Lavié Labs for sponsoring this post. I only recommend products or services I use personally and believe will be good for my readers. Read my full disclosure.